Dear Conservatives: As you wallow around in your election-day schadenfreude, I offer you this note of caution: Except perhaps on immigration and a few miscellaneous issues like climate, Trump is not a Conservative. He has no apparent respect for the Constitution, or free speech, or any number of individual freedoms. He is a serial abuser of eminent domain and has lived off of crony rents for decades. We often compare government unfavorably to private individuals when it comes to budgeting, observing that most of us can only spend as much as we bring in, unlike a profligate Federal government — but Trump can’t control spending in his own private sphere and has run up huge amounts of debt he has had to disavow in various quests for self-aggrandizement. Do you really think he won’t do the same thing with public funds? I said this morning I would give up political prognostication, but I am fairly sure in less than 6 months we are going to see prominent Conservatives coming out publicly with buyer’s remorse. 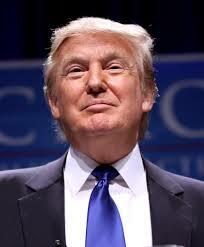 This entry was posted in Politics: National and tagged 2016 Election, Donald Trump. Bookmark the permalink. It’s like a car dealership. The salesman will tell you anything to make the sale, even promise that the service department performs miracles. Once the sale is made and you go to the service department, well…they don’t care one bit what the salesman said. Trump is a good con-man. He knows marketing. He sold his candidacy based on what could sell/win. Does he believe in anything? Does he have principles? Trump as President won’t feel any more beholden to the marketeer Trump as the service department to the salesman. He might even give us a more liberal form of immigration reform than Bush wanted. Who knows? He’s not conservative, not liberal, not anything but a con man who will say and do whatever best serves himself. He’s not conservative, not liberal, not anything but a con man who will say and do whatever best serves himself. Still better than a politician who did nothing but sell out her country for the past 30 years, in my opinion. Trump may not be a Conservative, but he can certainly invoke policies which are having both a House and Senate to help. His Gettysburgh list is admirable – my hopes will remain up for the first 100 days. p.s. I was praying for Trump to drop out of the race, but he didn’t so I’m hardly a Trump fan here. Meanwhile on planet Earth, Trump is already making Reagan look like a piker.